If you have a cavity and need a filling, or if you need to replace a metal filling, porcelain and composite resins offer a long-lasting, aesthetically pleasing solution. 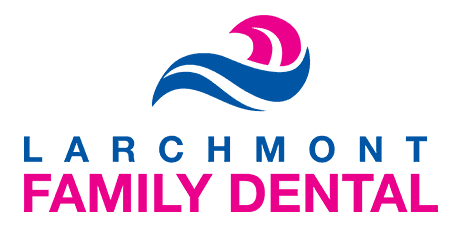 At Larchmont Family Dental, Dr. Avi Malkis offers porcelain and composite fillings that are customized to match your natural tooth enamel. If you are a patient in the Westchester County of New York, including Larchmont, Mamaroneck, Harrison, and New Rochelle, New York and want to learn more, call the office or schedule an appointment online. What are porcelain and composite fillings? Porcelain and composite resin are two materials that are commonly used as dental fillings. Other filling materials include gold and silver amalgam. The filling material Dr. Malkis uses for your filling depends on many factors, including how much tooth decay you have, where the filling is, as well as your budget. Dr. Malkis can help you determine which type of filling material is right for you. What are the advantages of porcelain and composite fillings? With both porcelain and composite fillings, Dr. Malkis carefully matches the filling shade to your natural tooth enamel, so they blend in much better than gold or silver amalgam fillings. Additionally, porcelain and composite fillings don’t give nearby teeth the bluish or grayish hue that amalgam fillings can sometimes cause. Aside from aesthetics, another advantage of porcelain or composite fillings is that, in general, less tooth structure needs to be removed compared to amalgam fillings. That makes the procedure less invasive and often preserves more tooth structure. What are the differences between porcelain and composite fillings? Although they may look very similar, and both can be matched to the color of your natural enamel, there are several differences between porcelain and composite fillings. Which type of filling is right for me? Dentists have been using silver amalgam fillings for generations. And, although the American Dental Association says that these fillings are safe and affordable, more people are now opting for porcelain or composite resin fillings because of the natural look it gives to their smiles. At Larchmont Family Dental, we only provide metal-free restorations. Porcelain and composite fillings are both good options, and the right choice may just depend on your considerations. Every filling type has its pros and cons, and Dr. Malkis provides comprehensive consultations in which he can help you weigh them and decide what’s best for you. To learn more, call Larchmont Family Dental or schedule an appointment online today.